When i started my collection some of my initial favourites were the covers that featured hands and instruments like Trombone by Three, Kenny Burrell Vol. 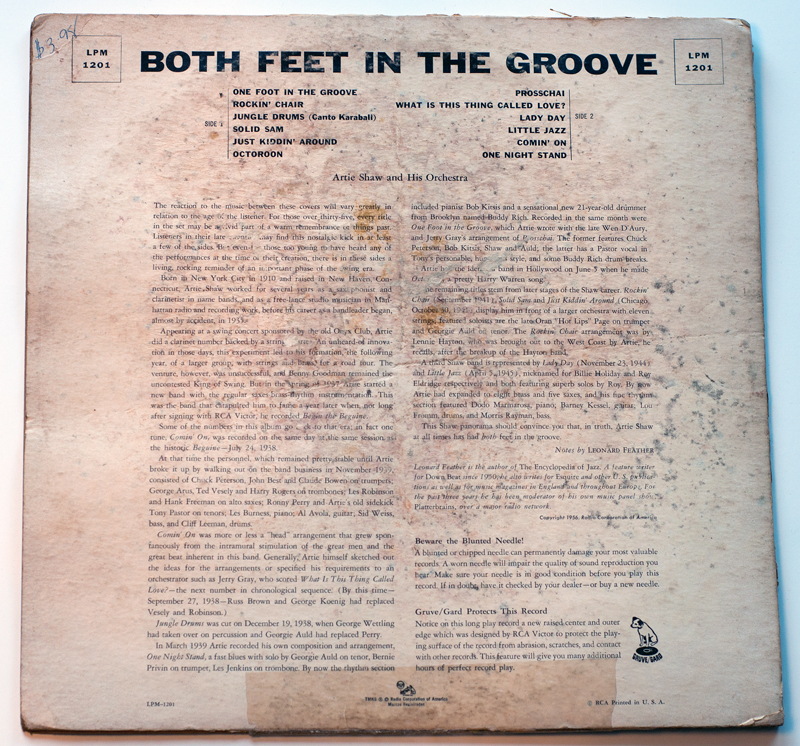 2 and of course Both Feet in the Groove. Unfortunately most of these are very rare and sell for very high prices at ebay and will probably always be out my reach. The one that is fairly obtainable though is this one, i’ve been biding on it many times but for various reasons i was never the lucky winner. Either i was changing diapers and forgot about the auction or the price just got to high in relation to the condition. But thanks to the WCCC i got a late christmas gift a few weeks ago. Released in 1956 and as far as i know this is one of two releases with Artie Shaw that features Warhols work, the other one being Any Old Time released a few years later. Other than this LP release there are also several different EP’s with the same front design. I’m not entirely sure but i think there are three different EP releases. 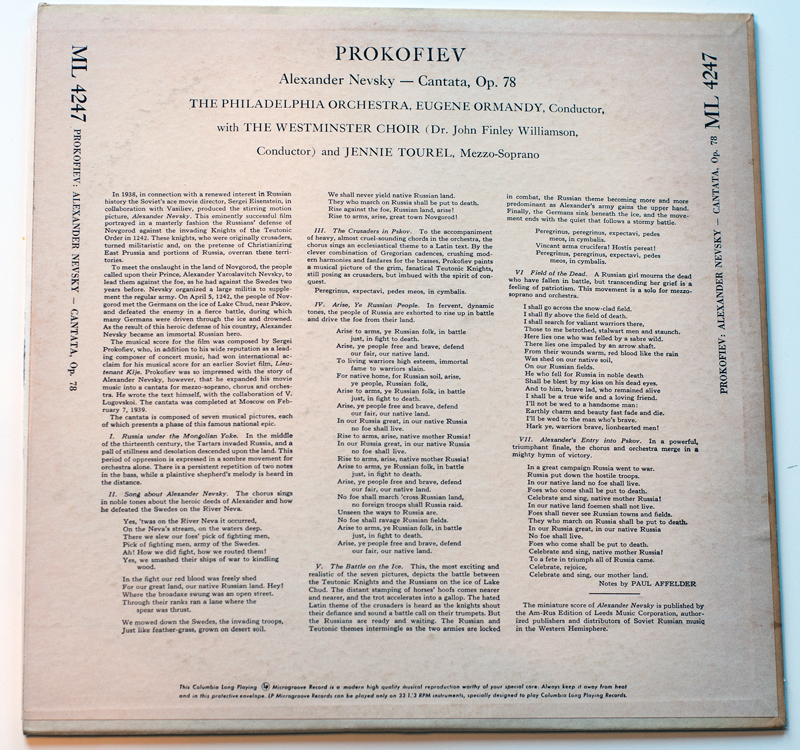 At least that’s what Richard Forrest has listed in his “walkthrough” of Warhol 7″s in this excellent post, and that’s where i usually go to find good information. I think it was a few weeks or so before christmas that a guy listed a lot of rare covers on ebay. I can’t remember them all but among others were The Nation’s Nightmare, Cool Gabriels, Trombone by Three and Ultra Violet and he also listed a very nice copy of Both Feet in the Groove. A few times before when someone has listed similar items there has been some emailing within the WCCC, both to tip each other off and also to make sure that we don’t go up biding against each other. 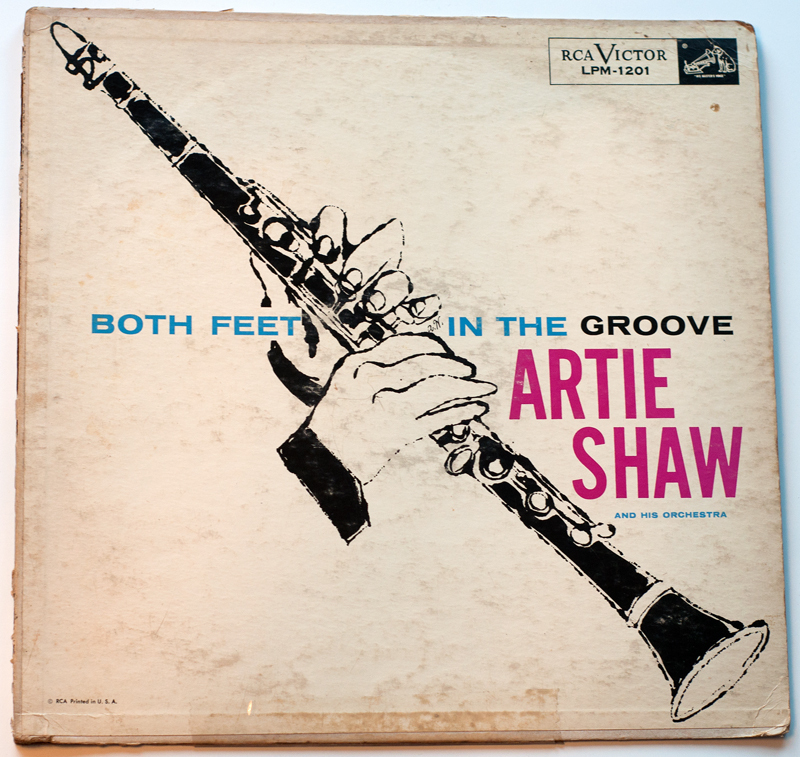 I mentioned that i was probably going to bid on the Artie Shaw album since i’ve been looking for it for a long time and that’s it’s a cover that i really like. Fellow collector Kevin Kinney then advised me not to bid on it and told me he had at least five copies i believe which he picked up during the years at various record shops. I’m pretty jealous of him and sad that the number of actual (and good) shops close to where i live is basically zero, but that’s another story. Then, as icing on the cake, he offered to send me copy! I’ve said it before but the generosity, kindness and sense of team work within the WCCC is just unbelievable. Kevin informed me that the cover wouldn’t be in top condition but that it would be presentable and that was a pretty accurate description. The cover has some issues like general discoloration, some broken seams and a bit of tape at the bottom but all in all it’s not to bad. Thank so much for this Kevin, i really appreciate it! The break is over. As with the William Tell records i’ll label this with conductor, orchestra and title. 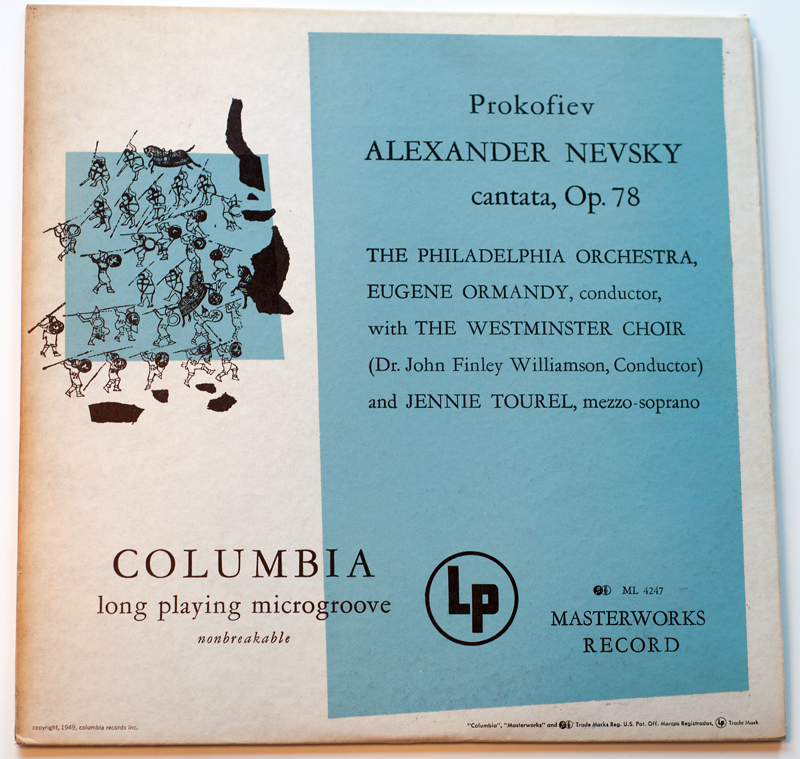 The music was composed Sergei Prokofiev and is the score to the movie Alexander Nevsky by russian director Sergei Eisenstein released in 1938. As far as i can tell the movie is about some battle with knights and warriors from the Holy Roman Empire so i guess this is what Warhol was asked to depict with his design. 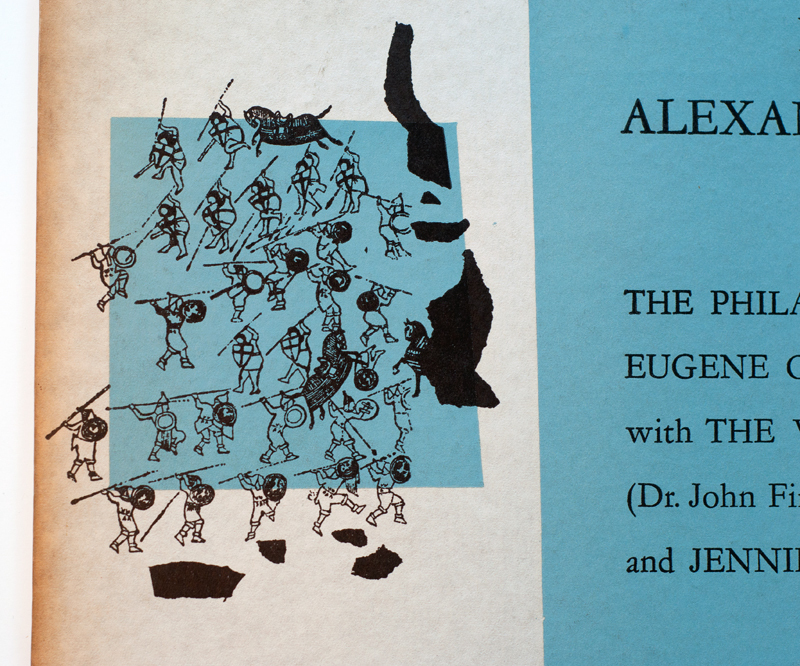 I don’t know anything else about the story behind this cover but to me the drawings show some similarity to the ones on A Program for Mexican Music, both released in 1949. Neither this one or A Program of Mexican Music are any of my favourite covers but it’s fun to finally get a hold of one of the earlier covers. I picked this up sometime before christmas and i actually bought this particular copy twice. The first time the reserve price wasn’t met but the second time it was listed without reserve and that time around i actually got it cheaper than the first time. I don’t understand or like listings with reserves but that’s another story. I was still happy to get it and if i remember correct it was for something like $35-45 which i think was pretty good. I also hadn’t done my homework properly and actually thought this was an EP, so initially i was a bit surprised when i opened the package. From what i’ve learned from The WCCC there are four color varations of this cover – blue, green, pink and orange. I’ve also been told that this blue cover is the most common which makes sense since it’s the one most seen on ebay. I don’t know enough to try and “rare rank” the three other covers but Frank Edwards has posted about the cover is this post and suggests that at that time the green seemed to be the most desirable. I have only seen a handful of other colors than the blue on ebay but i know that Richard Forrest got his hands on the orange one a while back. Regarding the condition i’d say that it’s pretty good. It has some slight foxing/discoloration primarily to the left hand side but other than that there are no real issues. All in all i think it’s in great shape for a cover that’s 65 years old. I would like to get a hold of at least one of the covers with a different color variation, but as with many other covers the price is always a factor. For now i’m more than happy with this one. A very busy holiday season is (finally) coming to an end and it’s time to look back and try and sum up the previous year. There was a lot of fun and exciting moments and it’s hard to try and rank them in any way. But some of the highlights include finally getting a hold of the Ratfab cover, finding the On Record: 11 Artists 1963 booklet and of course all the great mock-ups i got from Richard Forrest – The Nation’s Nightmare, Progressive Piano and Giant Size $1,57 Each just to name a few. The previous year also saw the formation of The Warhol Cover Collectors’ Club which was another very exciting thing. It’s funny how things work out sometimes. If i remember correctly i initially reached out to Richard Forrest and Frank Edwards and asked about the Ratfab record. Through them i then got in contact with two other great guys and noted collectors – Kevin Kinney and Guy Minnebach. It’s a great club to be a part of and everyone is amazingly helpful and friendly, i have learned so much from all you guys and i can’t thank you all enough for your help. It really was a lot of fun finding people that have the same interest as yourself and being able to pitch ideas, tips and information has really helped to keep the motivation up! Lets keep it up and try and make 2014 an even better year!